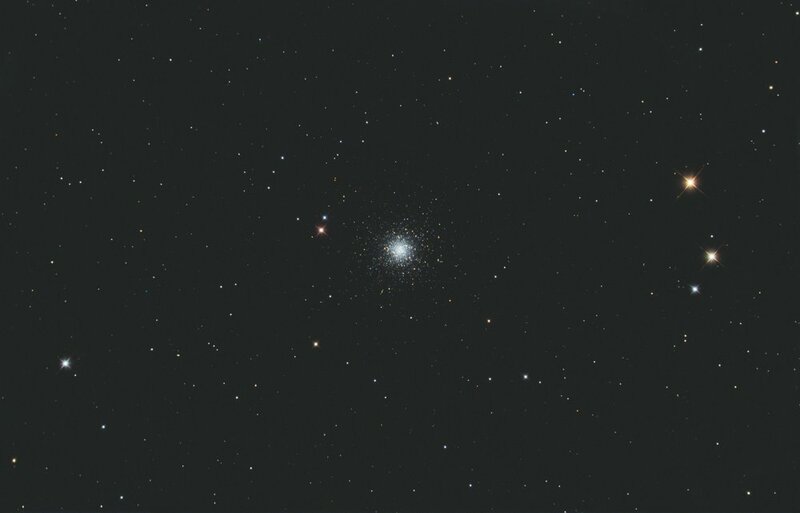 M13 globular cluster imaged with the AT6RC, 6” Ritchey Chretien telescope. I spent a few nights this week trying out my color camera, the ZWO ASI071MC-Pro on the AT6RC. I really love the pixel scale achieved here with the combination. It provides very nice resolution and a moderate field of view. I managed to divide my time between the two clusters. Four hours or so on M53 and about two hours on M13. 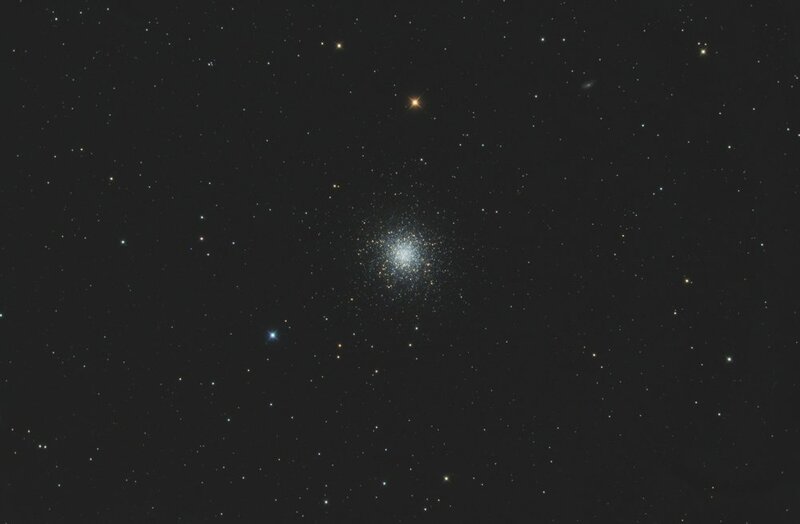 I honestly wish I had a few more hours on M13, as there are a lot more stars to bring out that are quite dim around the edge of the cluster. Both images were stacked, integrated, calibrated, light pollution removed, and color corrected with Astro Pixel Processor. I then took them into PixInsight for denoise, stretching, and color saturation.